I commute about 1.5 / 2 hours a day. I use that time mostly to draw, also to read. Today I was reading and finally drawing. 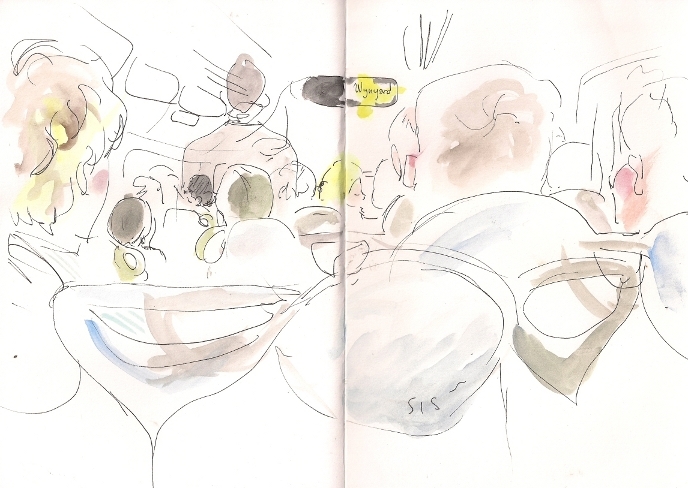 I'm normally to self aware to draw commuters, but today I didn't care that much.